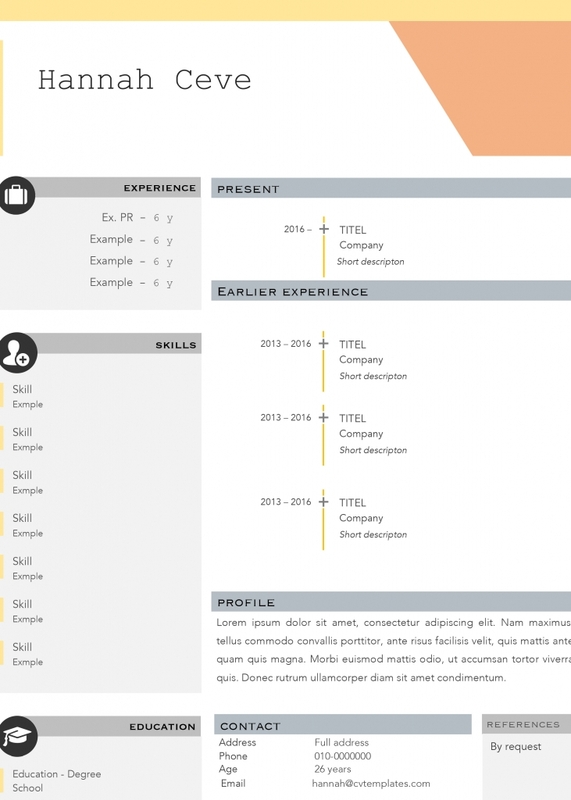 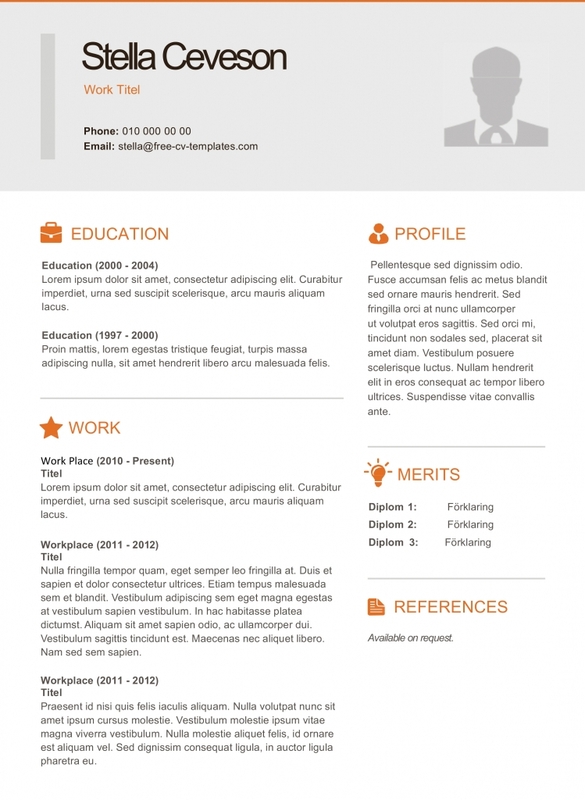 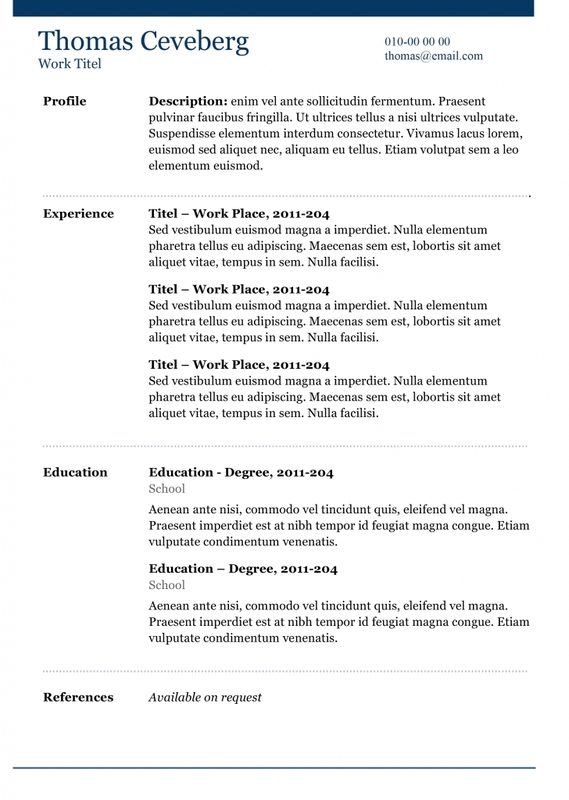 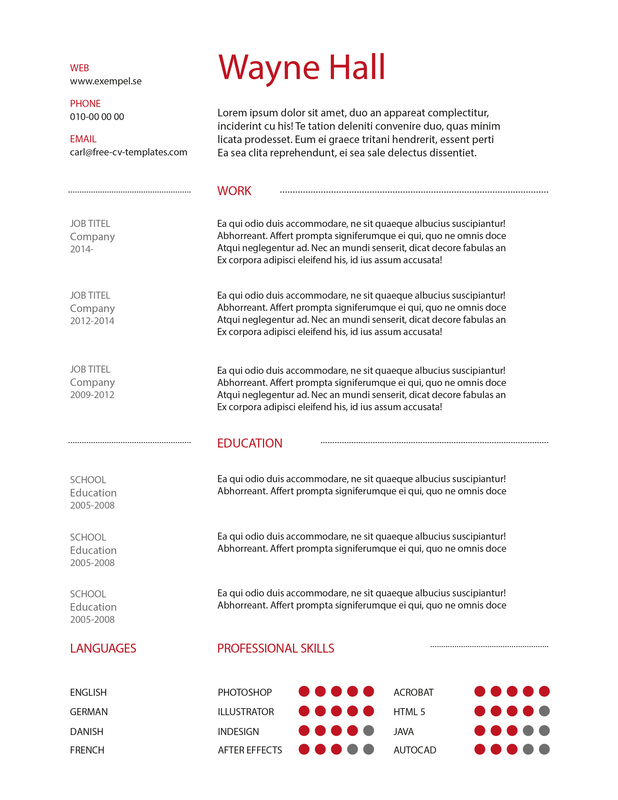 Wonderful, light, resume template to impress. 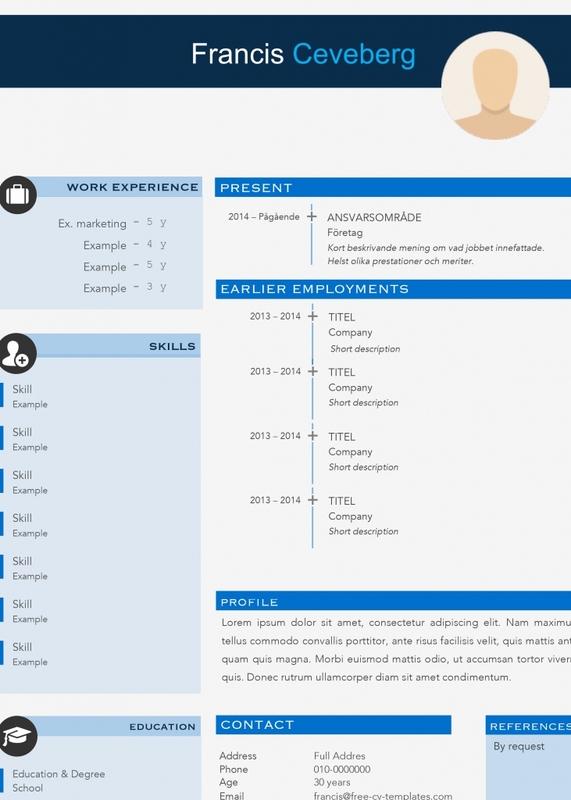 Write your profile, highlight your skills and tell the employer about your previous work experience and educations. 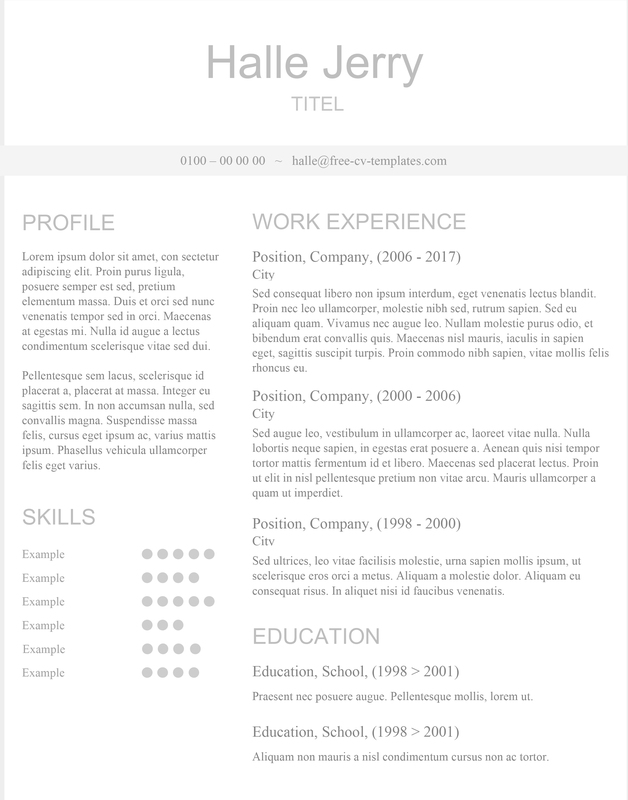 Made out of text boxes so it requires some word-skills and maybe a bit of patience, but it will look fantastic when it’s done. 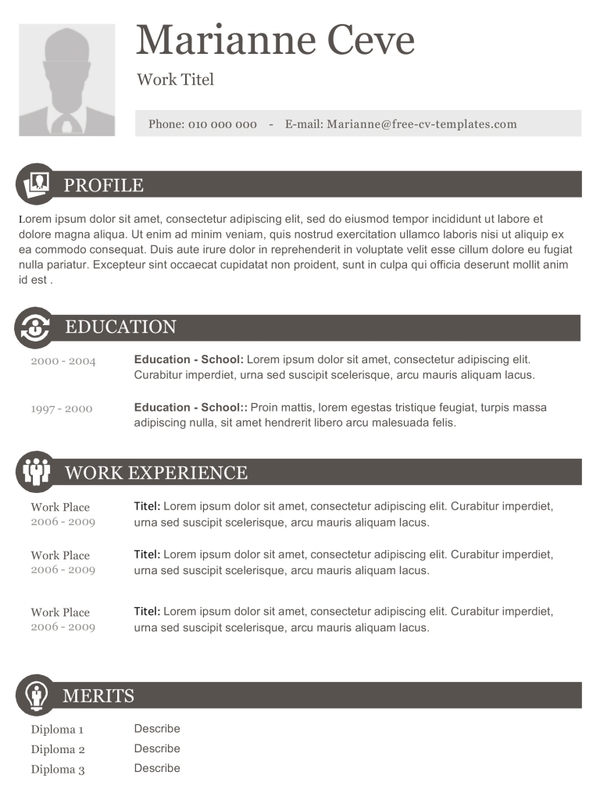 Feel free to change colors for a brighter look.